A routine checkup turned into something more. After Alexanders' biopsy, doctors were surprised by the absence of scar tissue, and thus biliary artresia. Two weeks later, we had a check up in Groningen to see how he was doing. Except we would be staying more than a week. As genetic testing would take too long, the doctors had decided they wanted another biopsy of his liver. 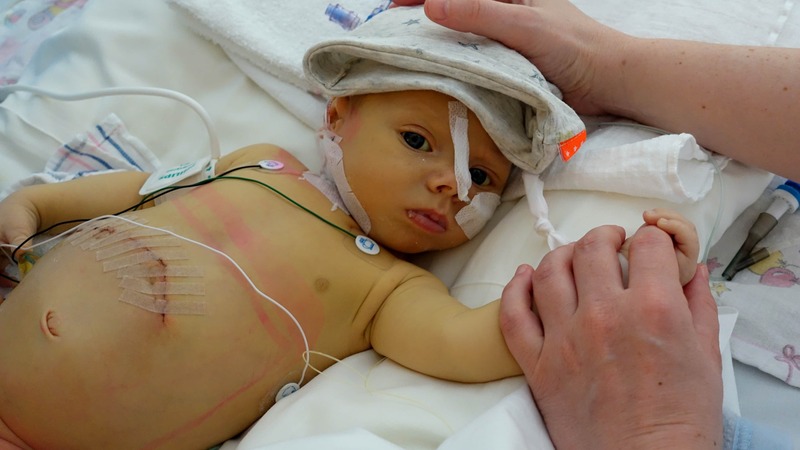 Biliary atresia is a progressive disease, so maybe two weeks later the results would be different. They had a more complex procedure in mind this time. They would do another biopsy. If they didn’t find anything, they needed to go back to the drawing board. If they did find scarring of the liver, they would immediately go back in, and perform a so called Kasai procedure. The Kasai procedure is a surgery in which the liver is attached to the intestine of the baby. It is called the Kasai procedure because this procedure was developed by Morio Kasai. He was one of the most influential Japanese paediatric surgeons. He carried out the first operation of this kind in 1955. During this surgery, the surgeon removes any problem bile ducts outside the liver. The small intestine is then attached to the liver. This provides a path that can allow bile to drain from the liver. Surgery is not a cure for biliary atresia. It will not work if the bile ducts inside the child’s liver are damaged or missing. 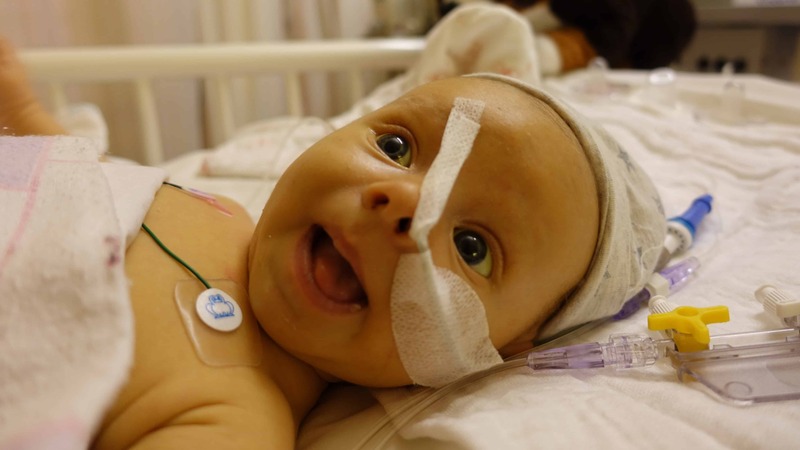 Even if this surgery goes well, the child will likely need a liver transplant sometime in the future. After the operation the patient has a higher chance of infection, as there now is an open connection between intestines and liver. Bacteria can travel up and cause problems. Antibiotics are prescribed for this. At some point the body will stabilise, but the medicines need to be taken for a long time. When the Kasai procedure is done at an early age (younger than three months), about 80 percent of patients have some bile flow. For nearly 30 percent of those infants, enough bile is able to drain from the liver that bilirubin levels return to normal. In the smaller number of patients who don’t benefit from the operation, some of the obstructed bile ducts are inside the liver as well as outside. When this happens, liver transplantation is needed sooner to correct the problem. It was a rough time for us. The surgical team was very nice, and took him to the operating theatre in a very mindful and delicate way. A stressful day followed for us. The first step in the procedure was to assess whether Alexander still had any bile ducts. The plan was to inject his gallbladder with contrast fluid. Then they would make an X-Ray, and see how far the biliary tree went. If nothing was found, we would be called after two hours. If they proceeded with the surgery, they would not contact us until the procedure was complete. We spent the afternoon in the city of Groningen with my parents, and hoped for the best. 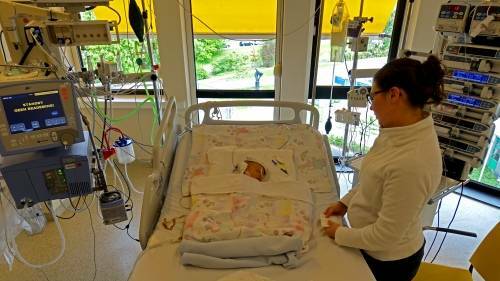 After five hours we got the call that the procedure was finished, Alexander was awake, and recovering in Paediatric Intensive Care. He was, finally, officially diagnosed with biliary atresia. The X-Ray was unnecessary as the gallbladder was already mostly gone, as were the external bile ducts. There was nowhere left to inject the contrast fluid. They immediately went ahead with the Kasai procedure. He did really well, and recovered quickly. He developed no complications and was smiling at us when we came to him. After a few days for observation we could go home. But alas, the Kasai procedure was not successful. The bilirubin levels did not return to normal. After two weeks of recovery, he started to become more itchy and yellow. The bilirubin levels had gone back to the level before the operation. That made it very clear to us that the only other option wasn’t far off. Alexander needed a new liver.